This mosaic of images, obtained by the Advanced Moon Imaging Experiment (AMIE) on board ESA's SMART-1 spacecraft, shows the SMART-1 landing site on the Moon. AMIE obtained this sequence on 19 August 2006 from the relatively high distance of 1200 kilometres from the surface (far from the SMART-1 perilune, or point of closer approach), with a ground resolution of about 120 metres per pixel. The imaged area, located at mid-southern latitudes on the lunar near-side, belongs to the so-called 'Lake of Excellence'. To take these images, SMART-1 had to be tilted by 20 degrees in order to obtain a large ground coverage and an image mosaic of several views, each covering an area about 60 kilometres per side. SMART-1 will be flying from North to South, and it will impact the surface 46 seconds, or about 90 kilometres, before reaching its nominal perilune (situated South of the impact location). This is due to the last orbit and the topography of the impact area. According to calculations based on the available maps and topography, impact would take place at a descending angle of one degree on a relatively flat surface. SMART-1's impact is currently expected on 3 September 2006 at 07:41 CEST (05:41:51 UT), in the point located at 46.2º West longitude and 33.3º South latitude. 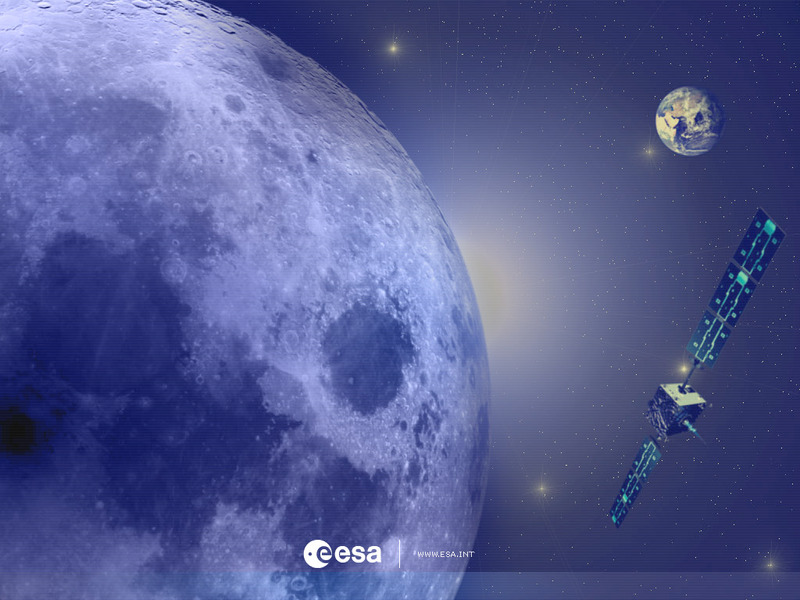 At 02:37 CEST (00:37 UT), one orbit earlier, the spacecraft should be just flying at its perilune. By that time, it will be over crater Clausius (25 kilometres diameter and 2.5 kilometres depth), at about 800 metres above the Lake of Excellence volcanic plain. As observed from these SMART-1 images, the rim of crater Clausius (bottom right of the image) is quite low and eroded, and should possibly be below SMART-1 last perilune. "If SMART-1 passes safely the rim of crater Clausius, the probe will go for its last lunar orbital tour until its foretold death," said Bernard Foing, ESA SMART-1 Project Scientist. Crater Clausius is named after Rudolf Clausius (1822-188), German physicist and mathematician, a founder of thermodynamics.